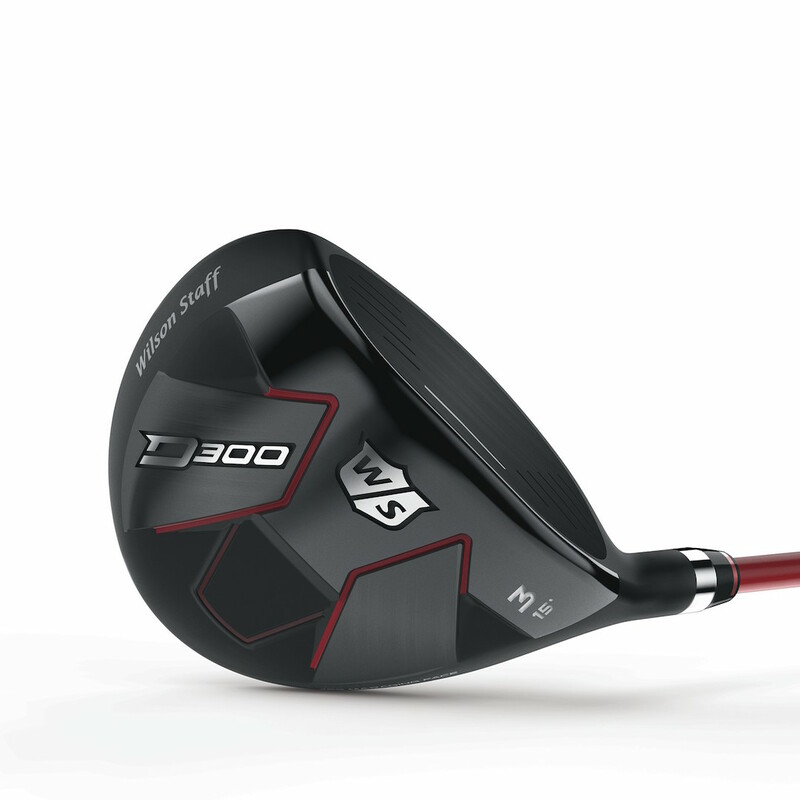 Hot off the press, Wilson launch their D300 game improvement range of clubs today. And they're looking fancy! 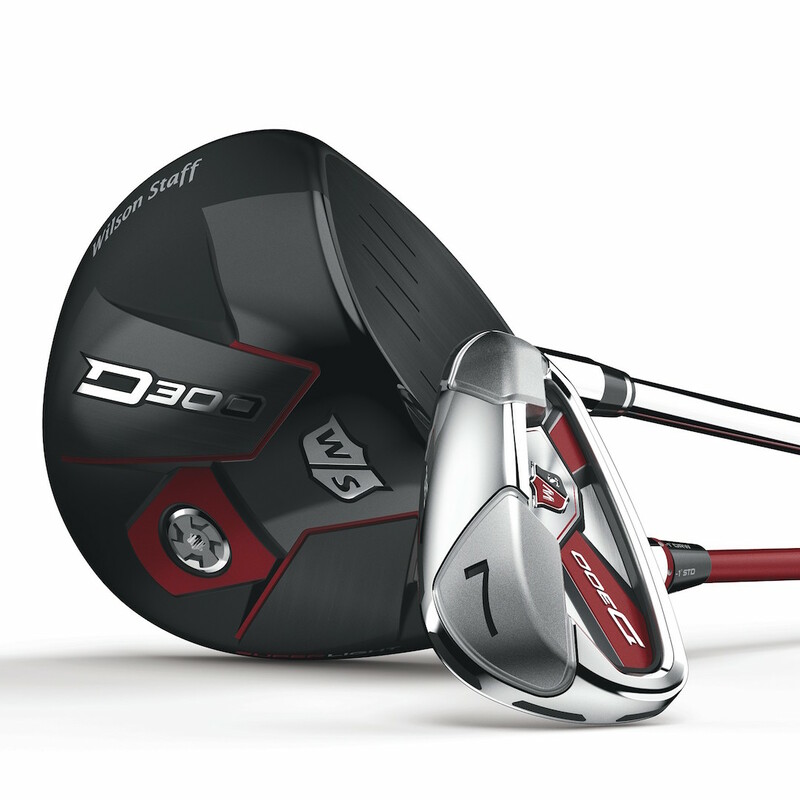 The golf boffins at Wilson HQ have been busy over the Winter and the result is the impressive looking Wilson D300 range. Brace yourselves for a technology frenzy overload. It's a veritable golf geek's paradise! 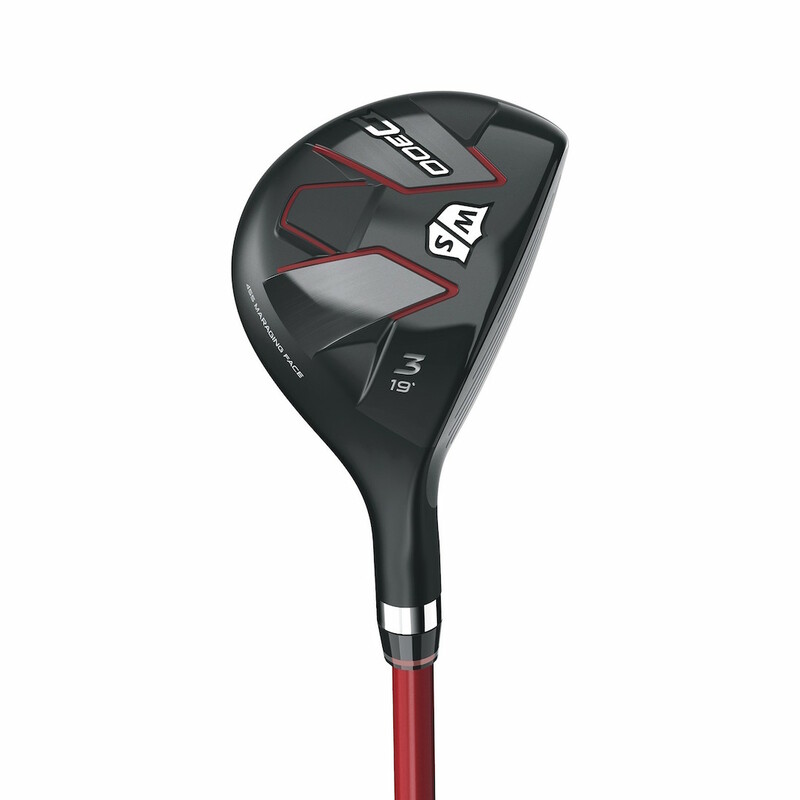 Following on from the award-winning D200 family, the next generation of Wilson Staff distance clubs feature a brand new driver, fairway woods and hybrid using Right Light™ Technology now with additional Micro Vortex Generators and a new set of irons with FLX FACE™ Technology, aimed at the player looking for maximum distance and forgiveness and confidence-inspiring clubs at address. 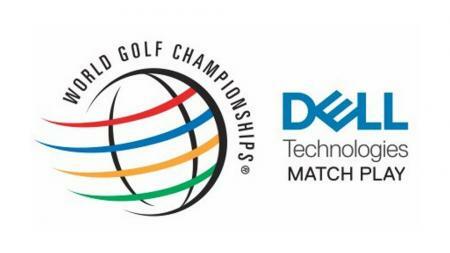 “Innovation is at the core of all we do and elevating distance is something we take seriously,” said Michael Vrska, Global Innovation Director of Wilson Golf. “Micro Vortex Generators and Right Light are technologies that players can see and feel, but most importantly, the speed and distance benefits will be obvious from the first swing,” he added. 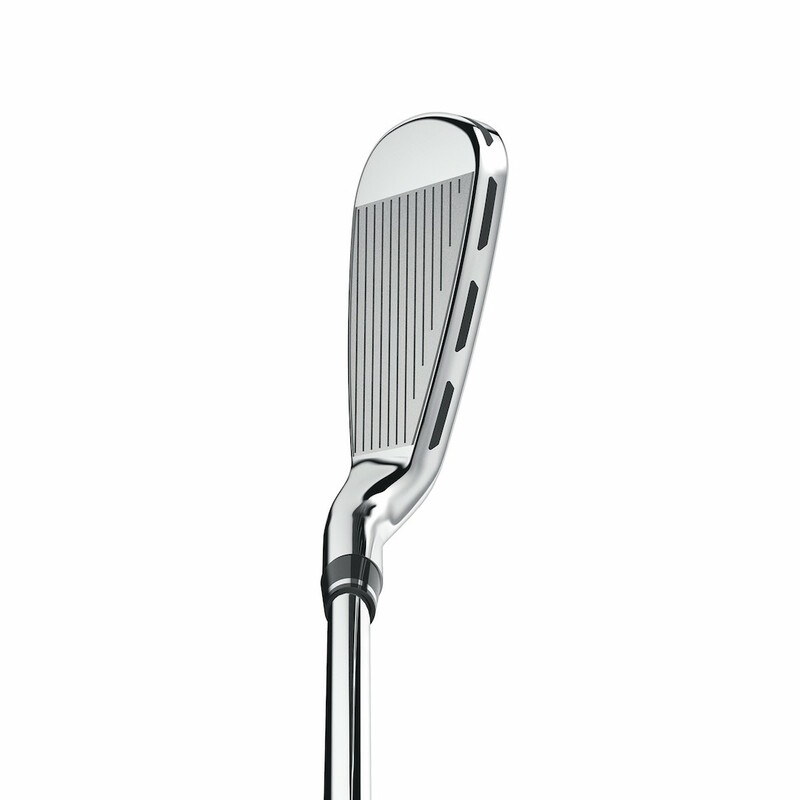 Did you know that Wilson's irons have recorded more major victories (61) than any other brand? No, me neither. Until now. The new D300 iron range has three key features. At the core of the innovation is FLX FACE™ Technology that minimises contact points between the thin face and clubhead to generate greater clubhead speed and distance. 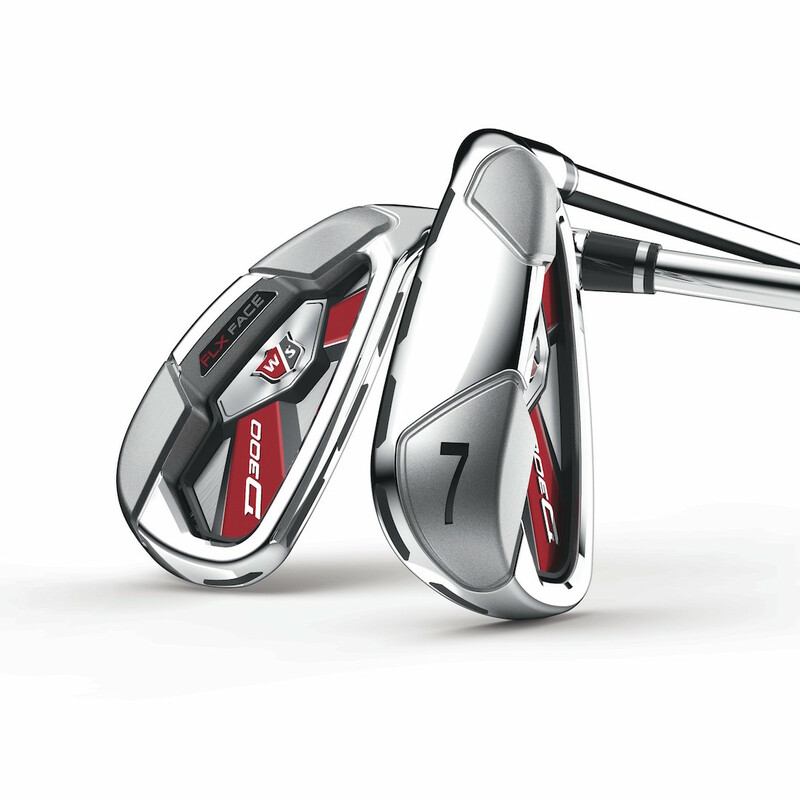 Wilson Golf testing shows that only 26% of the face is connected to the body, while 74% of the face perimeter is taken up by Power Holes, refined from the successful C200 iron model. Filled with TE031 Urethane, the Power Holes extend through and around the face to provide a distinctive feel and sound, especially on an oversized forgiving distance iron. The heel and toe weight pods (combined weight 60 grams) positioned on the extreme perimeter of the clubhead, increase Moment of Inertia (MOI) for a deeper centre of gravity and extra forgiveness. Incorporating proprietary SuperLight™ technology, the D300 Driver is one of the lightest and fastest adjustable drivers on the market. A new aerodynamic designed head shape, coupled with visible Micro Vortex Generators, reduces drag force to increase clubhead speed and deliver enhanced distance. The Green Means GO! Fast Fit technology enables players to make quick adjustments by eliminating the need to remove the club head from the shaft. 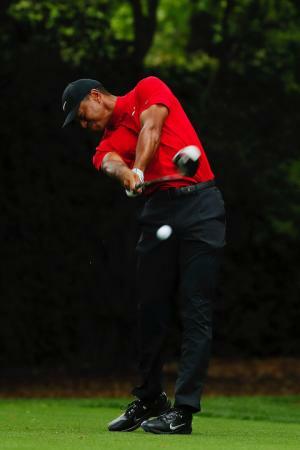 While Right Light™ Technology, with an interchangeable weight, permits golfers to swing faster with the same effort. A six-way adjustable hosel (including three draw options) covers loft settings from 8° to 14° in half degree increments and three adjustable sole weights allow players to attain their ideal launch angle, ball speed and spin rate. Loft options are available in 9.0o, 10.5o* & 13.0o. The D300 fairway woods also feature the new aerodynamic designed head with Micro Vortex Generators, along with a Carpenter Custom 455 maraging stainless steel face insert creating a thin, flexible and responsive Characteristic Time (CT) face for increased ball speeds and longer distances. Available in three loft models (3 wood at 15° loft, 5 at 18° and 7** at 21°), blending the proprietary Right Light™ Technology. The D300 hybrid features a progressive head design offering increased volume on stronger lofts for more forgiveness on longer shots. Also featuring Micro Vortex Generators to create faster movement through the air and the same a Carpenter Custom 455 maraging stainless steel face insert found on the fairway woods. Available in 2 to 7-hybrid in RH (ranging from 17° - 31° lofts) and 3 to 5-hybrid in LH (ranging from 19° - 25° lofts). 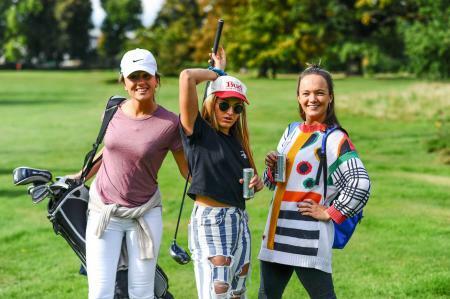 “Having achieved great success with the D200 range, we wanted to push the innovation boundaries further and the new D300 range has done just that,” said Doug Wright, Global Commercial Director of Wilson Golf. “Introducing the FLX Face and Green Means GO! Technologies into the distance range adds a new dimension altogether and the results are exceptional,” he added. Brand new KBS Tour 80 steel and Matrix Rulz A-Type 54 graphite shafts are available in the D300 irons (5-9, PW, GW, SW both RH and LH), along with Wilson Staff Tour Traction grips. The D300 Driver is available with Matrix Speed Rulz A-Type 44 and 65 graphite shafts and the D300 fairways woods with Type 49 graphite shaft, both with Golf Pride Tour 25 grips. 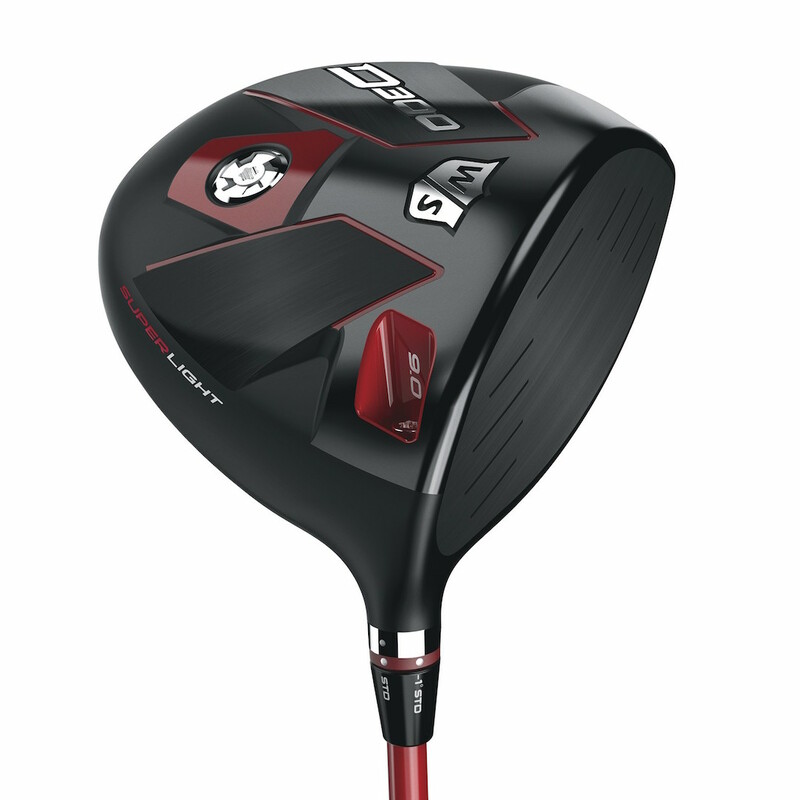 The D300 hybrid is available with Matrix Speed Rulz A-Type 54 graphite shafts and Wilson Staff Tour Traction grips. 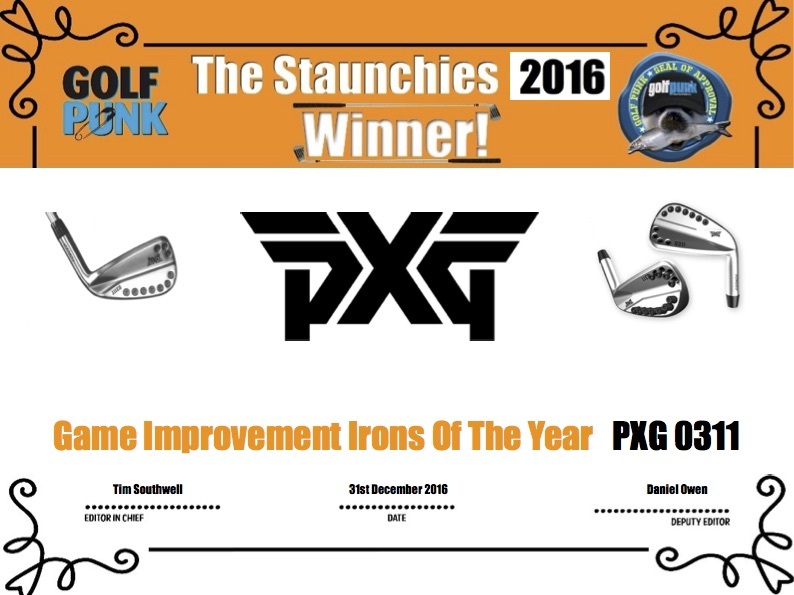 Before you buy anything, check out which clubs won the GolfPunk Staunchie Awards?